Time lapse technology is about more than just the cameras – it’s about resilient equipment that captures the entire length of your project, secure data transfer, storage and access, giving you complete confidence. Our time lapse cameras produce exceptional image quality to create time lapse videos in full HD or 4K resolutions. 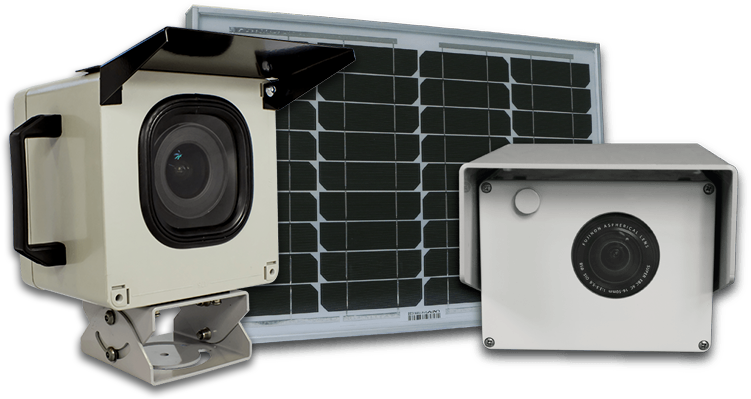 Solar powered cameras with battery backup provide the flexibility to allow our time lapse cameras to positioned almost anywhere. The images are transmitted over 3G to our secure server where you can view them in your own web portal within minutes of them being taken. We use state-of-the-art cameras, which can be powered by solar power, mains power or battery packs, making them ideal for all your applications. They can utilise 110V, 240V mains power or solar panels between 10 and 150 watts depending on your requirements. These cameras all meet the international IP66 rating for industrial enclosures, which means they can withstand extreme outdoor conditions including rain and extremes of temperature. That means our cameras can reliably record the best quality footage for the lifetime of your project, capturing the critical phases and milestones from start to finish. Our videos are supplied in HD/4K resolution and our portal images are detailed enough to zoom in and inspect your site. When we set up the cameras for your project, we connect them via 3G to our secure server. With over 97% UK coverage, 3G offers the most reliable system. That is why we made sure that the portals are password protected, and only those individuals authorised by you can access the images. The data is backed up three times using our secure server at Time Lapse UK, Amazon Web Services and Dropbox for additional security. You can view still images within minutes of recording, helping you to keep a real-time check on the condition of your site, as well as remotely updating your team on progress. The time lapse video you receive will be processed using professional production software and equipment and are sent in MP4 format for maximum compatibility, which you can host and share without restrictions. Time Lapse UK have provided fantastic service from installation to deinstallation. The time lapse video produced is of excellent quality and will help us showcase our products and services in the future. Time Lapse UK were professional throughout their engagement and provided excellent support from start to finish. They understood exactly what we needed at a cost more competitive than other suppliers we spoke to at the time.